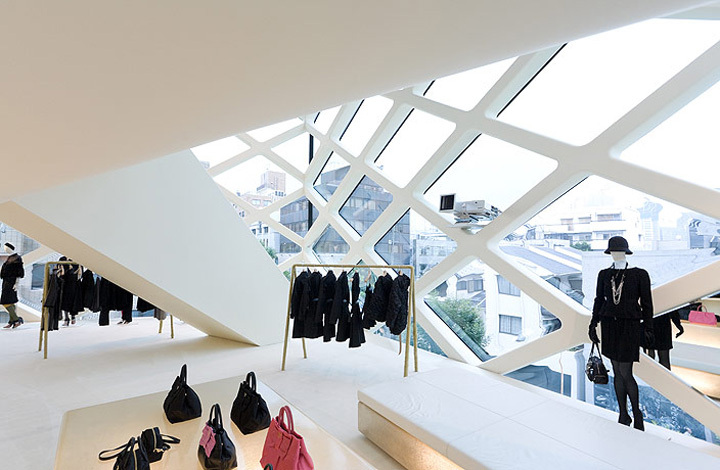 The veneration that the Japanese feel for the clothes designed by Miuccia Prada is reflected in the designer’s presence throughout the city. 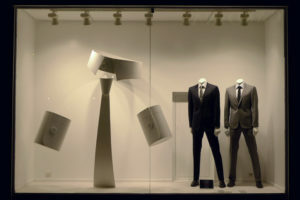 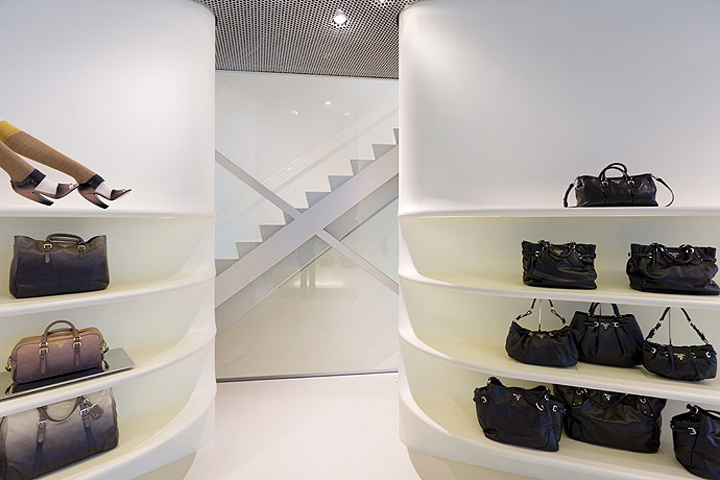 Prada sells not only in department stores but also in its own stores in the main districts of the city: Aoyama and Ginza. 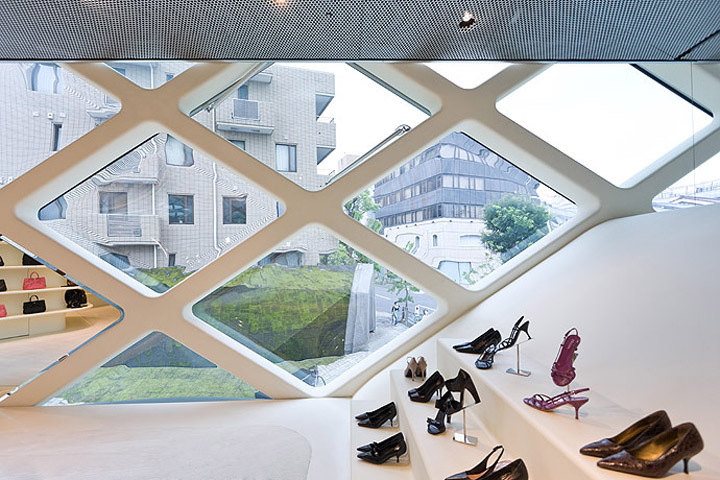 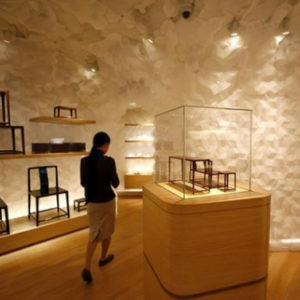 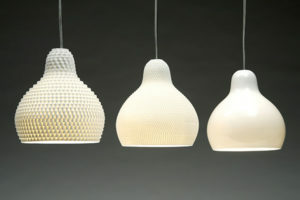 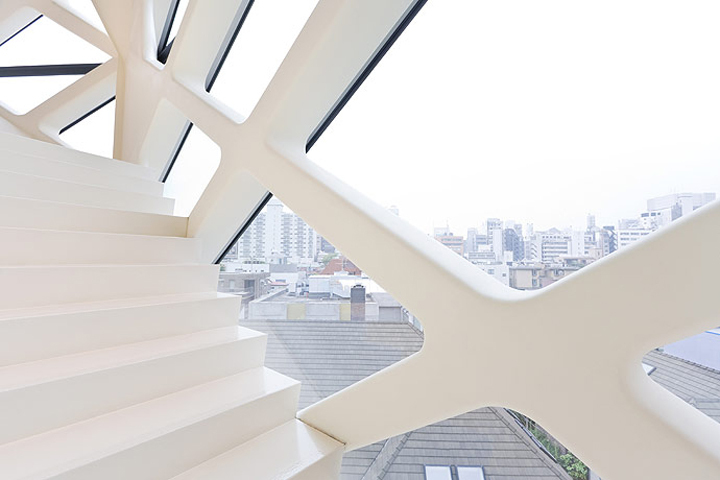 Architecturally, the most outstanding store is that in Aoyama, designed by Swiss architects Herzog & De Meuron. 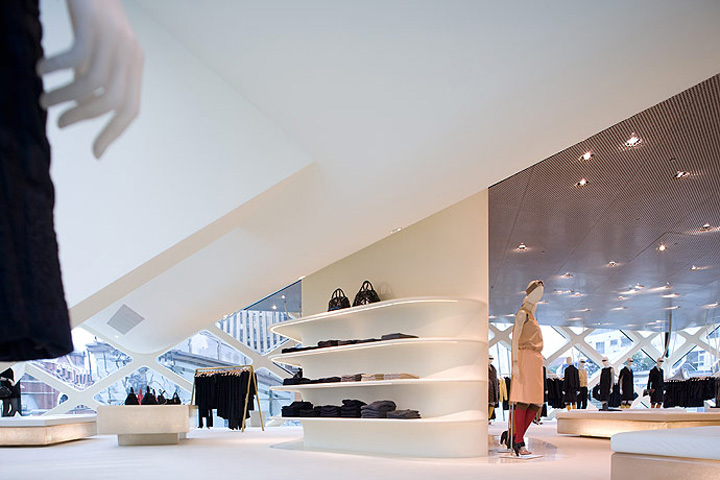 This store marked a new concept in what a retail building could be, a concept that Prada itself had started with its first Epicenter in New York’s Soho, designed by Rem Koolhaas and his Office for Metropolitan Design. 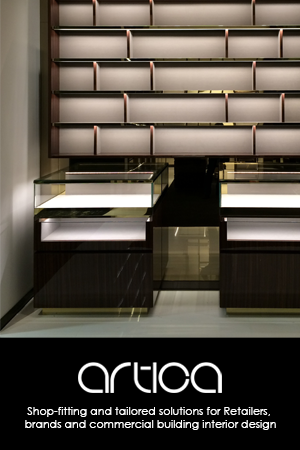 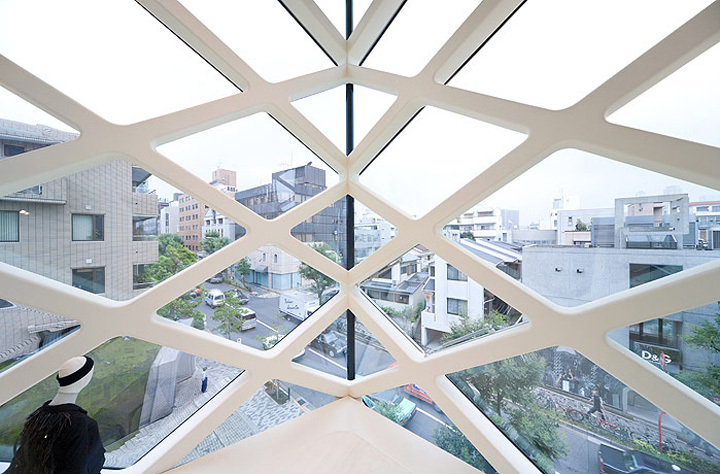 The exterior of this new Tokyo Epicenter comprises 840 diamond-shape panes of glass fitted on an iron structure. 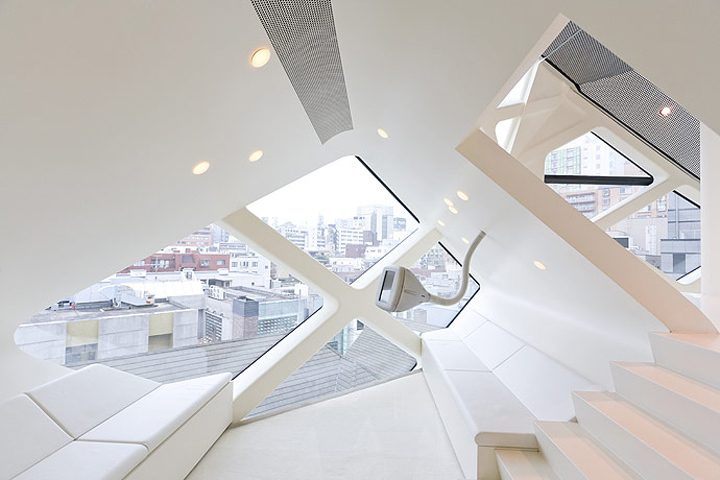 The elegant, sophisticated interior has four floors whose walls are lacquered delicately in white and feature snorkel-like “sound showers”, which ended relaxing, modern music. 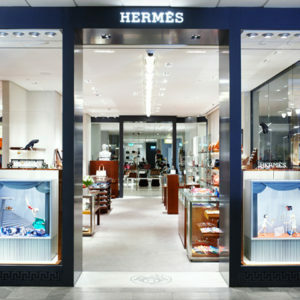 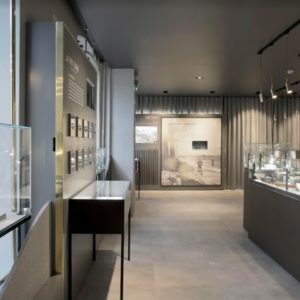 This space is unique, fundamental and historic in terms of the relationship between fashion and architecture, and of the actual mechanics of shopping.